Our streets have changed in a myriad of ways over the past decade alone. With the introduction of on-the-go technology, apps like Google Maps and ride-sharing apps like Uber have become a part of a lot of people’s everyday commute today, offering a range of conveniences that were hard to conceive of not so long ago. Uber has really shaken up the transport industry with its revolutionary use of technology allowing a rider to call a car to their door while being able to track how long it would take the driver to arrive. 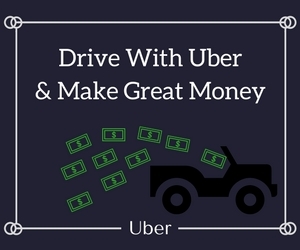 Being able to keep tabs on traffic and being offered various route options online are only some of the biggest advantages of the app; Uber’s competitive salaries for contractors, who drive at their own convenience, have also opened up a lot of well-paying part-time jobs all over the world. All of these conveniences do come at a price to the customer though, and with factors like surge pricing involved, where rates are in multipliers (such as 1.2x or 1.7x) of normal rates, it tends to be on the higher side. Even with Uber rides being the shiniest new thing on the streets, the old, sturdy taxis of the past endure, with their reliable, fixed-rate cards or meters. Generally driven by experienced drivers, many of whom know the streets of the city like the back of their hands and have been plying them for years, there’s an undeniable charm to hailing taxis right off the street. Let us take you through a comparative analysis of the experiences of booking an Uber ride versus hailing a taxi as we have done for years. Both Uber cars, as well as taxis, have their own pros and cons, so there’s only one way to find out which would work better for you; here are the mainstays to take into account while making the decision. Uber vs. Taxi: Location, Location, Location! In an age when you can “send” someone your location, Uber cabs do you one better by letting you track your driver’s location, navigate route options and give you an idea of the level of traffic you are likely to encounter along the way. It’s important to note that location is key, though. If you are in a large city, you are more likely to be stuck in traffic jams and have to deal with exorbitant surge pricing rates due to the high level of demand. Outside of large cities, though, taking an Uber has proven to work out much cheaper for riders, especially when it comes to trips with longer distances, the fares of which come up to more than $35. These are the findings of an analysis by a data scientist, Anastasios Noulas, at Lancaster University in the UK. Trips with shorter distances, for which the fares will amount to less than $35, “old-school” taxis are still the economical option. According to Noulas, these make up approximately 94% of taxi fares; understandably so. What If You Have Time Constraints? We live in increasingly fast-paced times, and major cities all over the world are bustling with activity at any given time of the day as people rush to their jobs, appointments, and commitments with the clock ticking. Besides pricing for longer distances, this is probably where Uber rides emerge with a clear advantage. When you can call a cab, and even track its journey and the estimated time it’ll take to arrive near you, the rider who is in a hurry — as they often tend to be — is more likely to call a cab right to their door, instead of going to the end of the street to take a chance at hailing a yellow taxi. Coming to what really matters to consumers — comparing fare rates of yellow cabs with those of Uber rides is a trickier affair than you would think. What many riders, or Uber app users, do not know is that Uber charges for both, every mile covered, as well as, the time that is taken for the journey. This means the less the driving time is, or the higher the speed is, correspondingly, the more Uber fares tend to drop and become a more attractive deal. On the other hand, yellow cabs have fixed rate cards or meters and issues like traffic along the way affect rates only marginally, as compared to the occasional horrifyingly high rates riders have to shell out during surge pricing. Idling time — or the time spent “waiting” in traffic or at signals — is another factor which affects the fare rate; the more the time that is spent idle, regardless of whether it is an Uber or yellow taxi, the higher the rates you rack up as fares. While idling time doesn’t seem to impact whether you should take a cab or an Uber car, you also need to consider whether surge pricing is applicable at the time of the ride, and how much, to work out which would be the cheaper option. The rating system is another glaring difference between Ubers and taxis. Uber has introduced the idea of two-way feedback to a ride, that has actually succeeded in making the average Uber cab ride more pleasant than an average taxi one. Both the riders and the drivers rate each other on a scale of one to five for each trip, based on the whole experience, and each one gets an aggregate rating that can be referred to for future rides as a guide. The rider rates the driver based on the hygiene levels of the car, punctuality, driver courtesy and reliability, and is able to “reward” drivers with higher ratings, which will translate into more riders for him or her. In a way, the rating system incentivizes being on your best polite behavior for both the rider as well as the driver, which actually makes for a more pleasant overall experience. A rating of 4.6 or higher is required for each Uber driver in order to retain the job, and this kind of accountability can really make all the difference. Safety is another concern that has been becoming increasingly alarming in recent times, especially with regard to women safety. The Uber app lets you access your driver’s name and phone number, besides his rating, and is a much safer option than the elusive yellow cab for the ride home from a long day or late night. Uber drivers who come on board as contractors with the company are also required to undergo a background check before they are allowed to get behind the wheel. There’s no denying Uber has revolutionized the term “calling a cab”. While you could always hail a taxi down on the road, or make an advance booking over the phone, calling a cab with Uber has rendered the process to literally a matter of a few clicks, with which you and your driver can share your current locations as well as your destination, and receive the estimated time of arrival and drop. Being able to track your driver through online maps on the app is no doubt a blessing, as it helps you organize your time better. Thanks to the rating system, your ride is also more likely to be a clean vehicle with a polite driver, who is equipped with maps on his own phone with route options for clarity. Uber also lets you shape your own ride experience based on your budget, choice of vehicle and purpose. Beginning with the cheapest option, UberX, Uber offers a range of choices including UberXL, usually consisting of SUVs; UberSelect, comprising of entry-level premium vehicles; UberBlack, providing luxury rides with a chauffeur; UberSUV, the SUV luxury car alternative and UberLUX, a premium ride with the likes of a Rolls-Royce or a Maserati. The cars which are used as Ubers also have to stick to strict guidelines regarding maintenance and condition of the vehicle in order to qualify as Uber vehicles. They need to be registered, insured and be in good working condition, to begin with. It should be able to seat four to seven people, with proper seating and seatbelts, a working air conditioner, windows and be able to pass the set quality and safety standards required by Uber. With yellow cabs, after you actually manage to flag down an empty one, there are often grumbling complaints about the ride being “too short” or “out of the way”, and no guarantee of your ride being necessarily clean and hygienic, with a total lack of accountability. However, “old-time” yellow taxi drivers can be very helpful sometimes, and often have a fascinatingly in-depth knowledge of the city that can make them interesting to share a cab with. The Uber app shows you and the Uber driver both the route to your destination via online maps, and you are able to track your progress from your phone while on the move. While this simplifies the process to a large extent and reduces confusion, this tends to be more effective in larger, urban cities where each street has been documented in the maps. In suburban areas or more remote regions, it is unlikely that the smaller lanes and streets have been identified, and might be marked only as “unknown roads”. If your Uber driver does not have a basic understanding of the streets, getting to your destination might become a task. A lot of old-time taxi drivers who have been driving the same streets for years have an extensive knowledge of the labyrinth of streets, shortcuts, and routes with less traffic, even during peak hours. These cab drivers have also likely come across a lot of different situations over the years and can be surprisingly insightful to speak with, especially for a deeper understanding of the area. The fact remains that there is just no substitute for being, quite literally, streetsmart. So now that we have taken you through some of the key factors to consider the next time you need to get somewhere, find out what works best for you depending on these. Besides these, though, there are much quicker ways that require less “figuring things out”, as such, thanks to the advent of apps. There are a number of apps and websites such as RideGuru and WhatsTheFare, which can help you compare local taxi prices against Uber cabs to find out what would work best for you. The Android and iOS app Open Street Cab, created by Noulas, analyses Uber and local taxis in London and New York at the time the ride is required and points you towards the more economical option; it said to be able to save the rider $7 per trip on average. Through the help of tools like these, comparing fare rates of Uber cabs with local taxis does not need to be a thoroughly taxing affair anymore. Working out which option you’ll be better off with is much easier to quantify when the data can be so easily analyzed, and the results are so accessible and updated to the minute. There are still many instances wherein taking a yellow taxi works out much cheaper and with less hassle, if it’s your lucky day, especially away from the larger cities in the company of drivers who know the streets well. After this run-down on the experience of hailing a cab versus booking an Uber, it is pretty clear that finding the sweet spot between price and convenience is a largely subjective matter. It helps to be flexible with your options and to use online tools to check fares of each one so that you get an accurate idea of which works out to be better value for money for the best possible experience. There is no beating the convenience that Uber vehicles offer you at a click, but there is always the occasional day you will find yourself waving down a yellow cab for a quick trip just down the road.